Light up the night with a blast of color with our 12 oz. 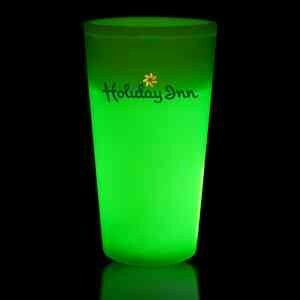 glow cup! This versatile cup can be used to hold virtually anything while keeping your logo or message highly visible on the outside. 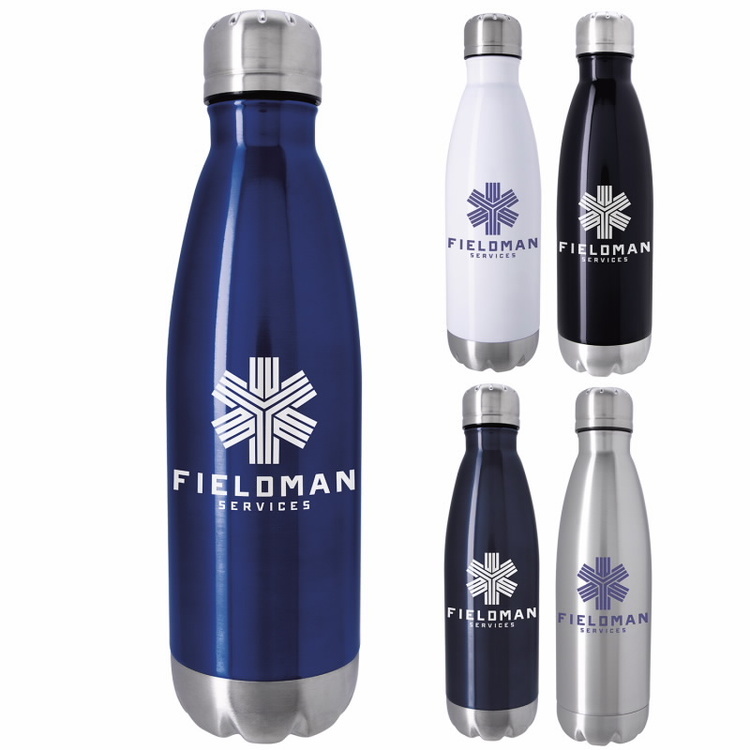 A colorful, cost-effective, promotional product that works hard for your business. Great for concerts, fundraisers, sporting events. A real crowd-pleaser at birthdays, graduation parties & wedding receptions. Please Note: Glow items by nature are a 1 time use only. Light up the night with a blast of color with our 16 oz. glow cup! 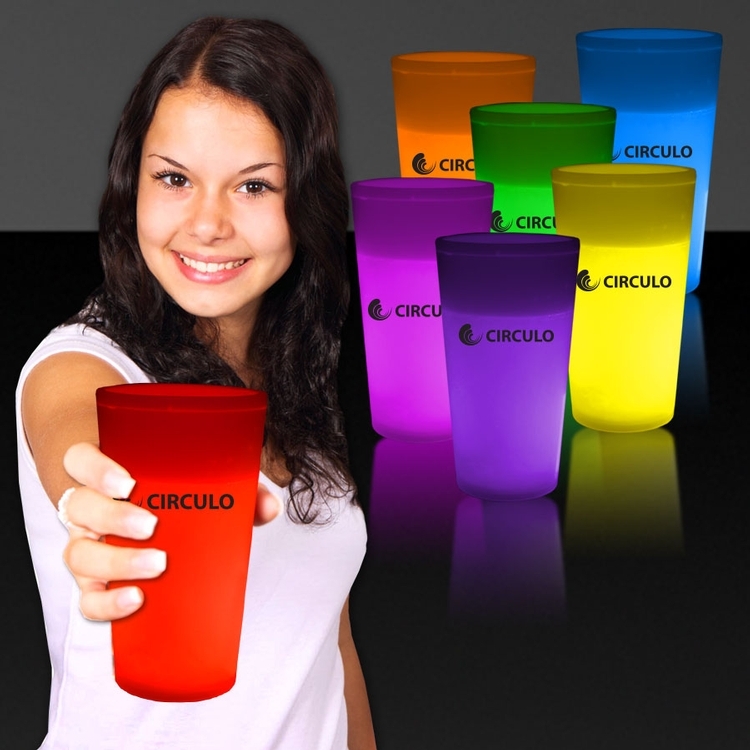 This versatile cup can be used to hold virtually anything while keeping your logo or message highly visible on the outside. 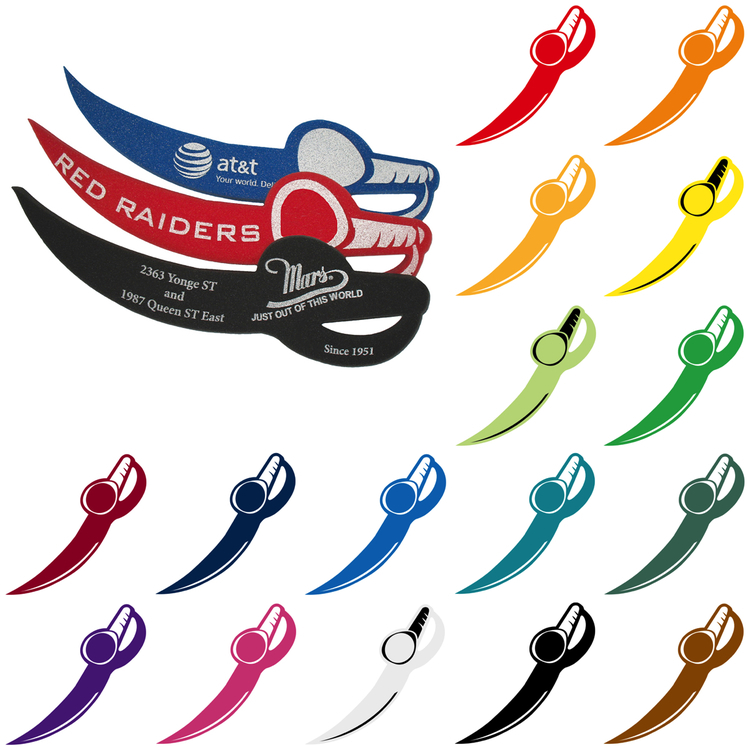 A colorful, cost-effective, promotional product that works hard for your business. 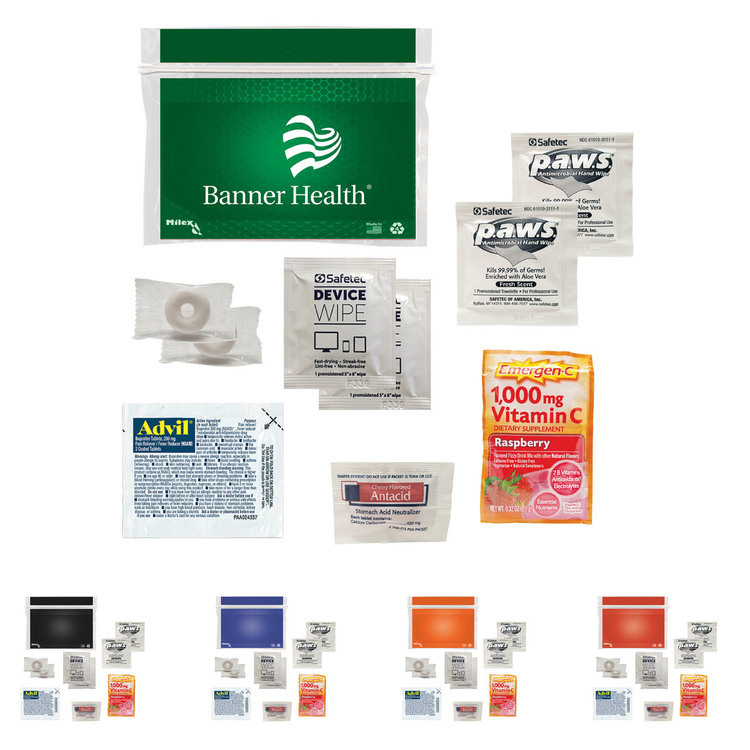 Great for concerts, fundraisers, sporting events. A real crowd-pleaser at birthdays, graduation parties & wedding receptions. Please Note: Glow items by nature are a 1 time use only. An industry best-seller to highlight your company! This sleek, shiny bottle with screw-on lid will be a crowd-pleaser. These lollipops are a crowd pleaser and can make your image really pop! Printed with a four color printed laminated flag. An industry best-seller to highlight your company! 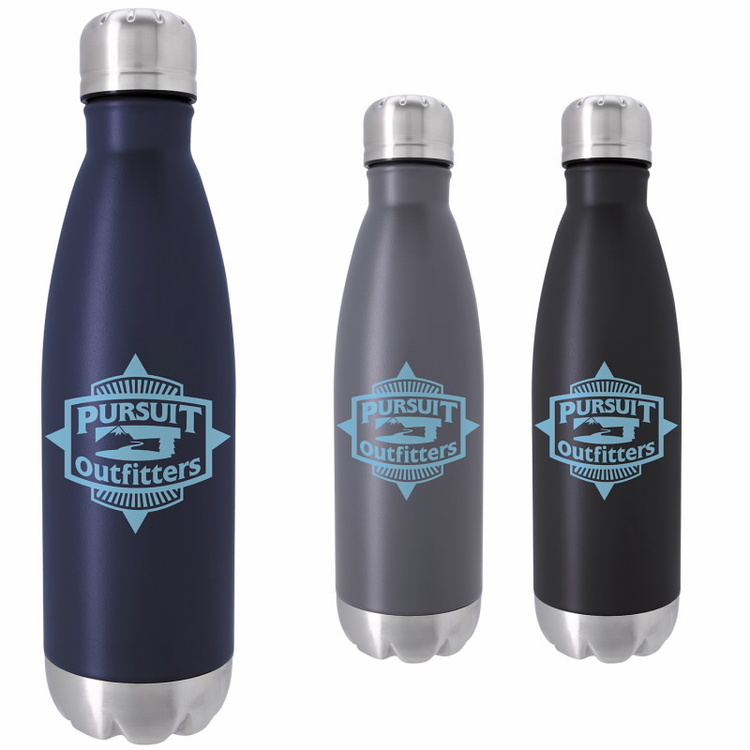 This powder-coated sleek bottle with screw-on lid will be a crowd-pleaser. Pirates in sports arenas will love every swing of this sword-shaped, noiseless, safe, stadium-approved foam novelty crowd pleaser! These wavers provide high visibility for your logo in large venues! Here’s a battle ax of a promo piece! 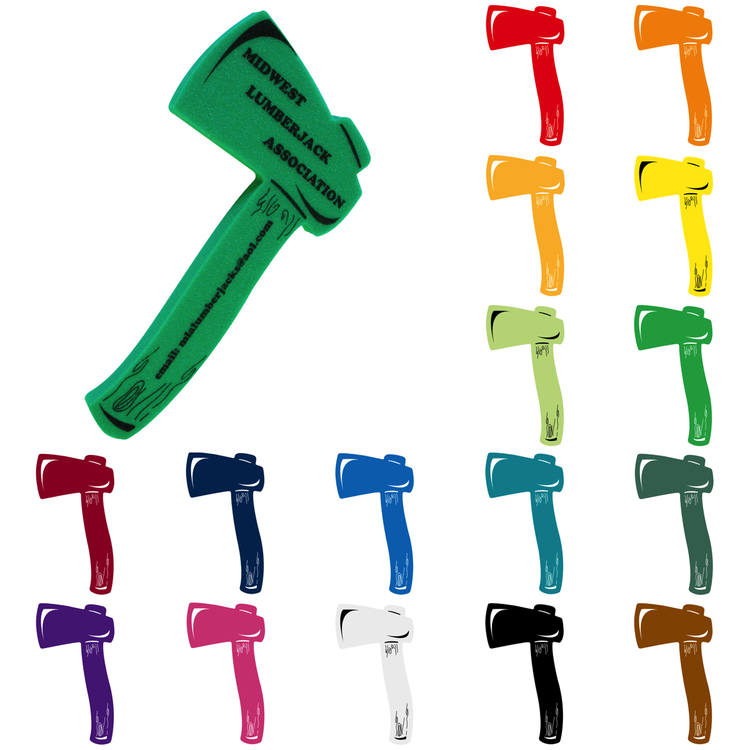 This safe, stadium-approved foam novelty cheering waver, shaped like a tomahawk, is a crowd pleaser! With your logo silk screened, these wavers provide high visibility for your logo in large venues. These swirl lollipops with assorted individual colors are a crowd pleaser and can make your image really pop! 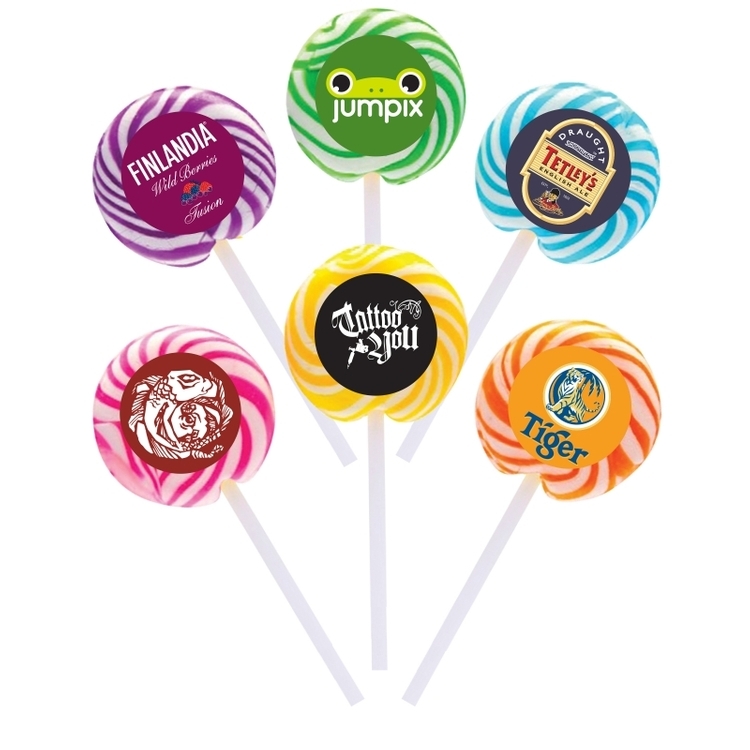 Our swirl lollipops are printed with a 4-color process round label. Great green lime flavored swirl lollipop value! These swirl lollipops with assorted individual colors are a crowd pleaser and can make your image really pop! 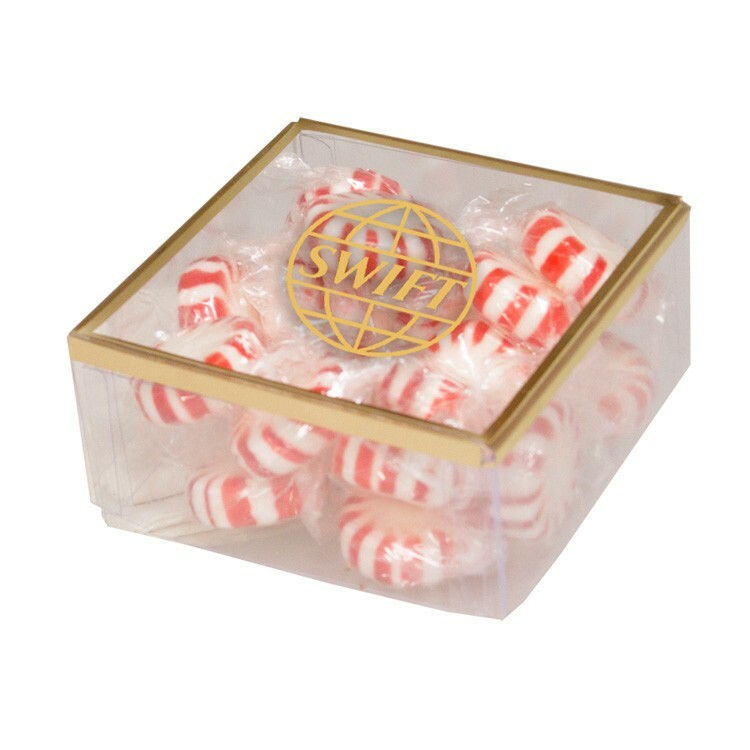 Our swirl lollipops are printed with a 4-color process round label. Great purple grape flavored swirl lollipop value! 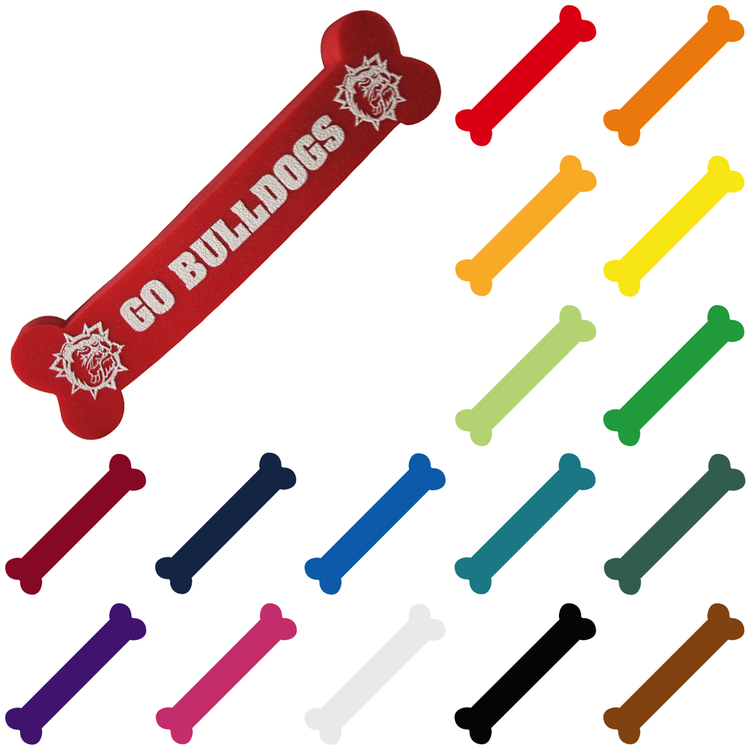 Your logo will not go unnoticed on this bone-shaped cheering tool! It’s a safe, lightweight novelty cheering waver that provides high visibility in large venues. It’s a crowd pleaser that’s great for schools, pep rallies and sports events. These swirl lollipops with assorted individual colors are a crowd pleaser and can make your image really pop! 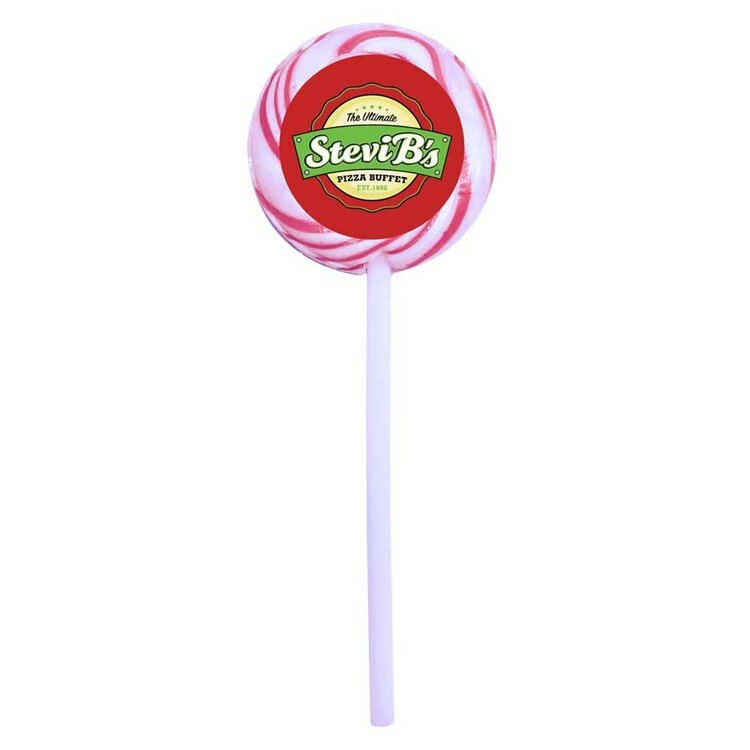 Offered in a variety of flavors, this flavored swirl lollipop will be a favorite! Printed with a four color printed round label. These swirl lollipops with assorted individual colors are a crowd pleaser and can make your image really pop! 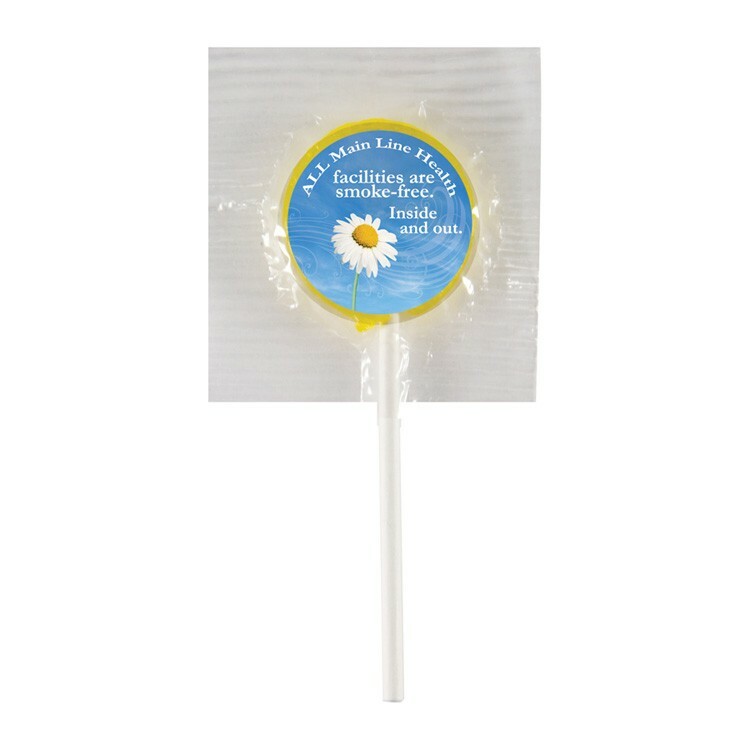 Our swirl lollipops are printed with a 4-color process round label. Great red cherry flavored swirl lollipop value! These swirl lollipops with assorted individual colors are a crowd pleaser and can make your image really pop! Our swirl lollipops are printed with a 4-color process round label. Great yellow lemon flavored swirl lollipop value! These swirl lollipops with assorted individual colors are a crowd pleaser and can make your image really pop! Our swirl lollipops are printed with a 4-color process round label. Great blue raspberry flavored swirl lollipop value! These swirl lollipops with assorted individual colors are a crowd pleaser and can make your image really pop! Our swirl lollipops are printed with a 4-color process round label. Great pink strawberry flavored swirl lollipop value! These swirl lollipops with assorted individual colors are a crowd pleaser and can make your image really pop! 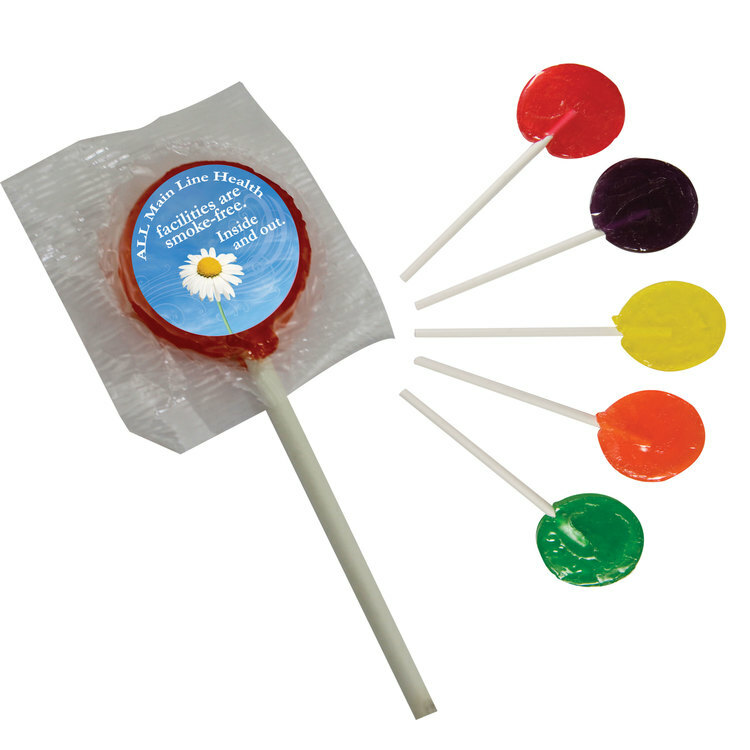 Our swirl lollipops are printed with a 4-color process round label. Great orange flavored swirl lollipop value! These coffee bags are a real crowd pleaser. 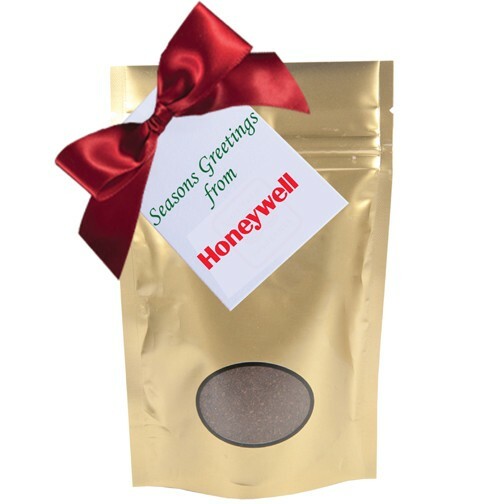 4 ounces of freshly ground gourmet coffee in a heat sealed foil bag. Customizable with a hot stamp or 4-color process label. All window bags are hot stamped with Gold or Silver only. Hail our gallant knights on the cheering brigade! 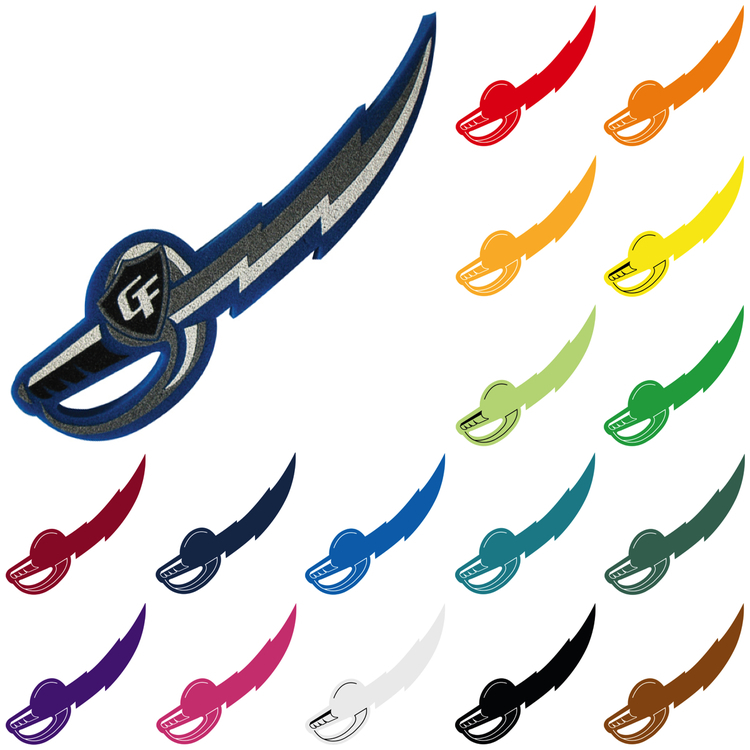 Our safe, stadium-approved 17.5” foam novelty cheering waver has a curved sword for a real crowd pleaser! 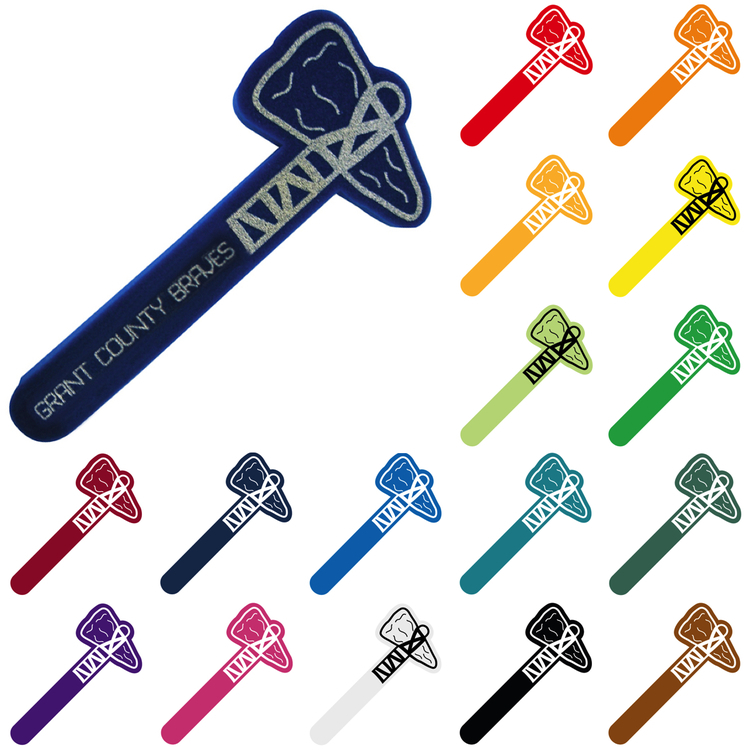 With your logo silkscreened, these wavers provide high visibility for your logo in large venues. This gold foil outlined square plastic box is a sure crowd pleaser. There are four delicious gourmet chocolate truffles in each box. Each box comes with a 1-color hot stamp of your logo that adds the perfect finishing touch. Can be filled with Starlite Mints, Gumballs, Hershey Kisses, Hershey Miniatures, Chocolate Covered Almonds, Pistachios, Mini Chocolate Pretzels, Cashews, Chocolate Covered Truffles. 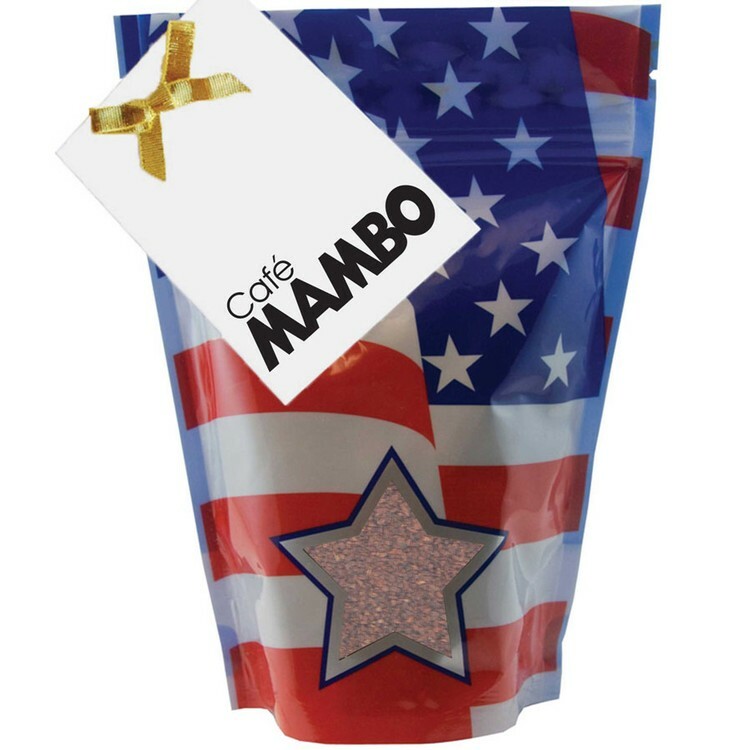 These coffee bags are a real crowd pleaser. 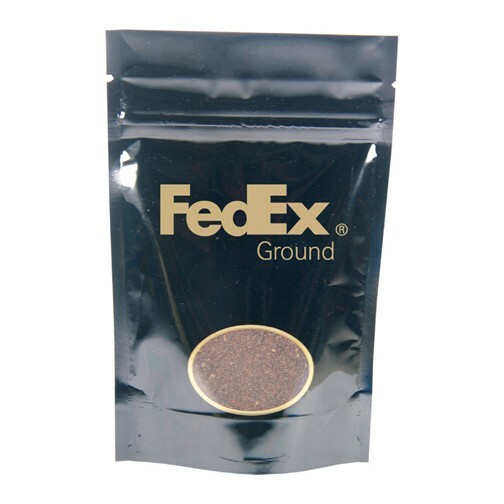 1.5 ounces of freshly ground gourmet coffee in a heat sealed foil bag. Customizable with a hot stamp or 4-color process label. All window bags are hot stamped with Gold or Silver only. 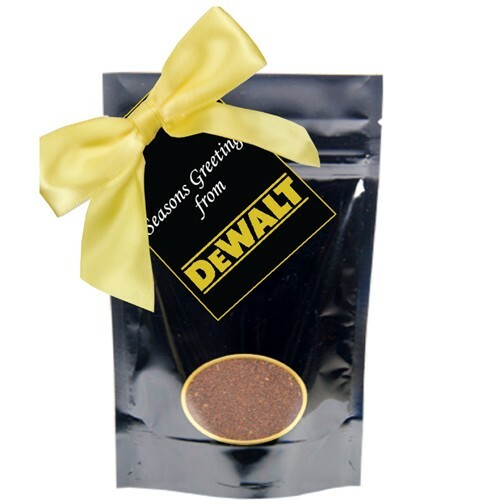 These coffee bags are a real crowd pleaser. 0.75 ounces of freshly ground gourmet coffee in a heat sealed foil bag. Customizable with a hot stamp or four color printing label. All window bags are hot stamped with Gold or Silver only. This gold foil outlined rectangle plastic box is a sure crowd pleaser. 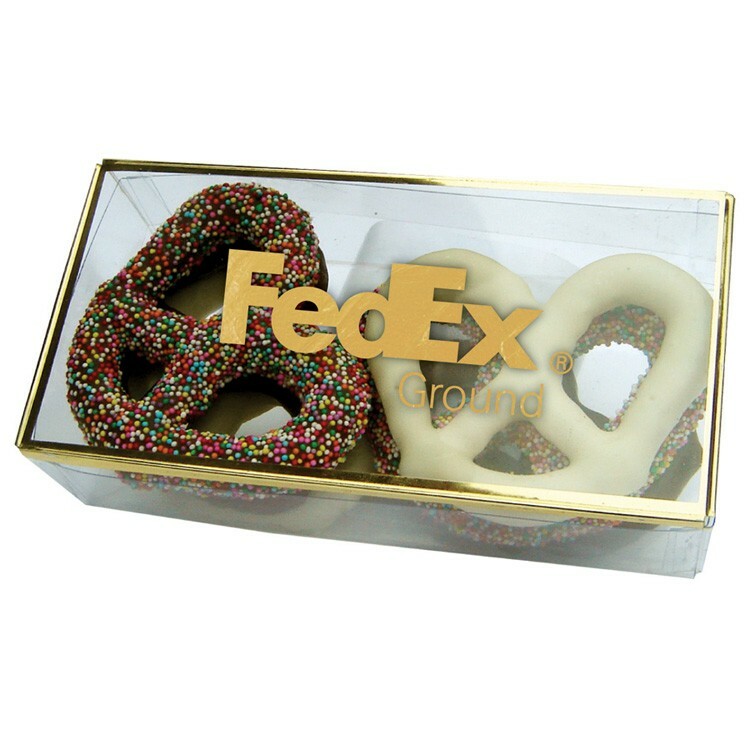 There are six large gourmet chocolate covered pretzels in each box. Each box comes with a 1-color hot stamp of your logo that adds the perfect finishing touch. Can be filled with Pistachios, Cashews, Truffles, or Gourmet Chocolate Covered Pretzels.